Most clients look at credit report with no idea of what the derogatory items mean on their credit report. Before deciding to invest in getting your credit repaired you certainly want to pay to be removed and how they can improve your credit situation. A “derogatory mark” on your credit report refers to a long-lasting negative notation. Also, a “main derogatory account” is the account whose negative notations have an outsized impact on the credit. These signs will likely affect your ability to be eligible to obtain desirable rates or qualify for credit, and usually can take seven to ten years to clear your credit history. 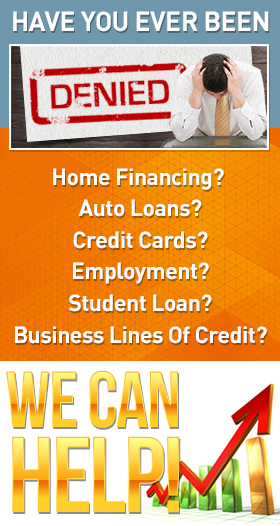 When working with us here at FixThatCreditScore.com you wouldn’t have to wait for 7-10 years to get these items removed. We work on your behalf to obtain the negatives cleared as fast as 30 days. These are some of the examples of most severe derogatory marks. They come in all sizes and shapes. They’re known for a range of reasons, and they influence your credit standing to differing points for a period of years, depending on the infringement. Bankruptcy: This type of derogatory marks means that you have entered a special legal process to obtain some form of debt relief. Because it is a bold step, and one of the most devastating negative records you can have on your credit report, usually the last resort to deal with overwhelming debt. Foreclosure: This generally refers to situations in which you didn’t meet up with the mortgage loan payments and the lender has suedyou to court in an attempt to force the sale of the house used as collateral for the mortgage. Collections: Thisis the account thathas been reported as sold or sent to collect debts from third parties, the original creditor due to arrears or missed payments. Tax lien:this type of derogatory marks can occur when you are ignored or do not pay the tax debt over time. It is important to know that the unpaid tax liens can remain on your credit report indefinitely. Civil judgment: This information is usually related to civil lawsuits, which require compensation of losses (for example, if you lost a civil case, or is unable to meet demand at all). A repossession: This can occur if you are late in paying your financial obligation on debt secured by property, like an auto loan. The mark on your credit report can affect your credit score and can put the seized property under threat of sale or at auction. Chargeoffs: This type of derogatory marks occurs when you are late in paying your financial obligation on an account. Usually, the element is provided only as a charge-off on your credit report as soon as it is over 180 days late. In SimpleTerms, otherwise, your creditor will list the accounts as not being recoverable. Lenders will list the bad debts owed as a charge-off mainly for tax purposes, so that money owed can be regarded as a loss and cancellation of taxes for them. Despite this, the creditors still consider the item a loss for tax reasons; they expect the debt to be paid in full. If you have a charge-off appearing on your credit report, lenders can still deal safely to recover the debt. Often they employ collection agency as the third party to retrieve the money owed.